Winter travelling can be fun, but it can also be a miserable experience if you’re cold. 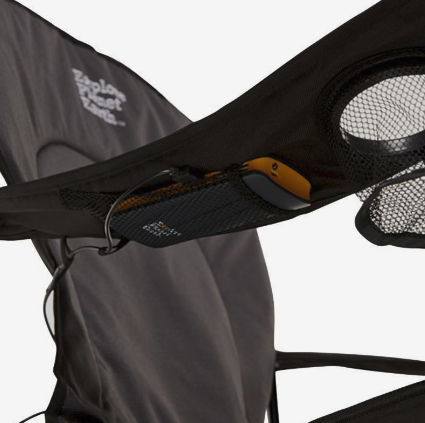 Fortunately, the days of suffering in the chilly weather may be behind us, thanks to the Lava Heated Chair by Explore Parent Earth – a camping chair that comes equipped with its own heating pad. But for those looking to get their hands on the one of a kind chair, you’ll have to be quick! Excitement over the chair reached fever pitch this week when multiple news outlets ran articles singing the chair’s praises. So, how does it work? 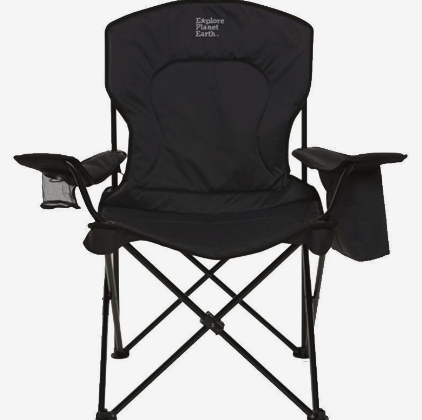 To use the heated function of this chair, all you’ve got to do is simply charge the power pack before your trip, this should take around eight hours and will deliver four hours of heated comfort. You can store the power back underneath the arm of your chair in its own pocket for convenient storage. There’s also a drink holder, a zippered cooler bag and three USB ports so you can charge your phone at the same time as the chair’s heating pad. The popular Lava Heated Chair is currently selling for $89.90 online. What are your thoughts on this? Would you buy this handy heated camping chair?